Resident Evil 4 was released in HD on the Playstation 4 and Xbox One recently. It's been years since I played and I was eager to give it another look. I found a game lives up to the reputation, marrying strong action with a new perspective that altered games forever. I have friends who sometimes joke that we live in a post-Resident Evil 4 world. It can feel tongue in cheek to say that a single title impacted so much but it is true. 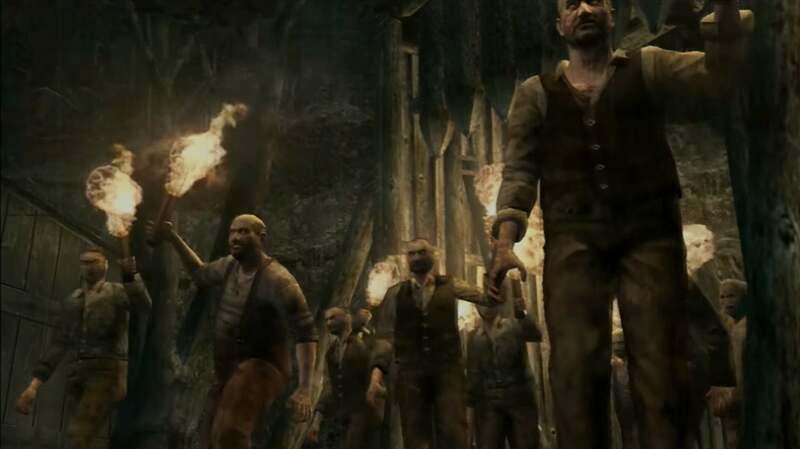 Games can't be removed from their context and RE4 made a major impact on game design after its release. During the time Resident Evil 4 was released, the action genre had yet to completely find a way to fully integrate navigation of a game space and action within that space. 2004 and 2005 were watershed years for experimenting in the best ways to merge action and movement. Titles like killer7 or even the original version of Metal Gear Solid 3: Snake Eater tried to manage their gameplay ambitions by either keeping players on rails or fixing the camera. 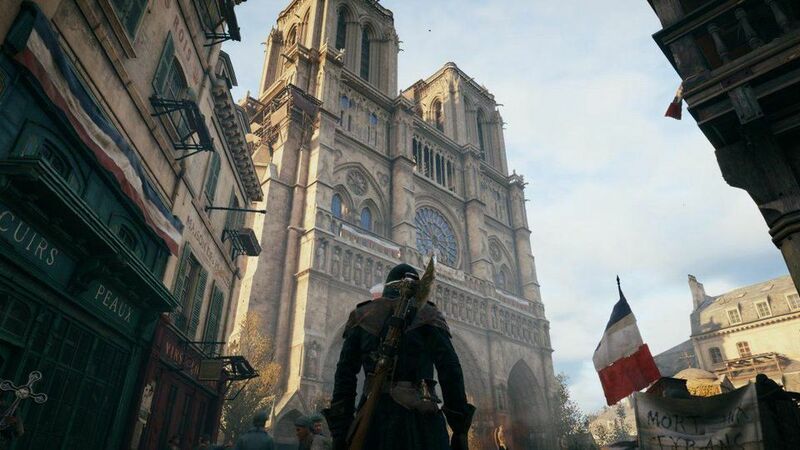 While this allowed those games to tightly compose their action, they were still based upon limiting the player's relationship to the game world. Something had to give. Resident Evil 4 was that something. 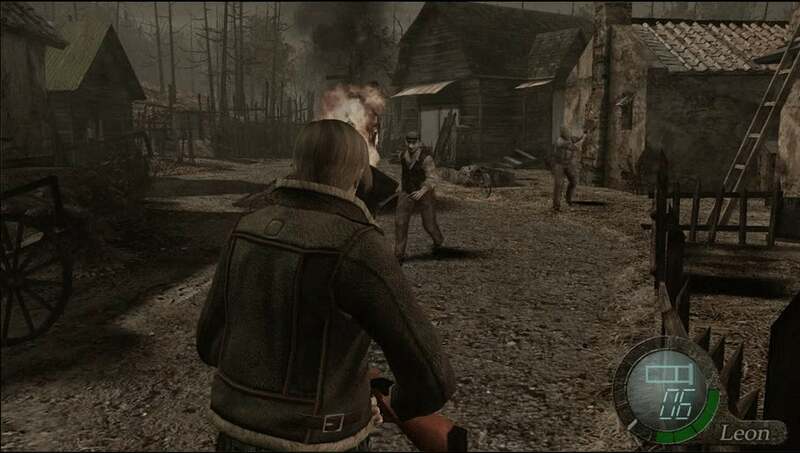 Resident Evil 4's over the shoulder camera allowed for a surprisingly active experience that merged the navigation of first person shooters with a pulled back perspective that stressed the player character, Leon, as something of a focal point. As a consequence, there's a keen awareness of Leon's body and movements that wasn't present in many titles at the time with the exception of something like the Splinter Cell series. The loss of pre-rendered backgrounds that emphasised setting instead gave way to a view the stress the character. Take note of the slight zoom when Leon aims. This small camera affectation emulates the act of focusing for a shot while also capturing the feel of a cinematic push. While Resident Evil 4 and following titles might not have certain features that induced a sense of claustrophobia or fragility, the game manages a different, more adrenaline driven feeling by integrating faster motions into the presentation. It was not just the use of a different perspective that gave a different feel. The biggest difference between RE4 and predecessors comes from how active the experience feels. Some of this might be handwaved off as simple escalation. 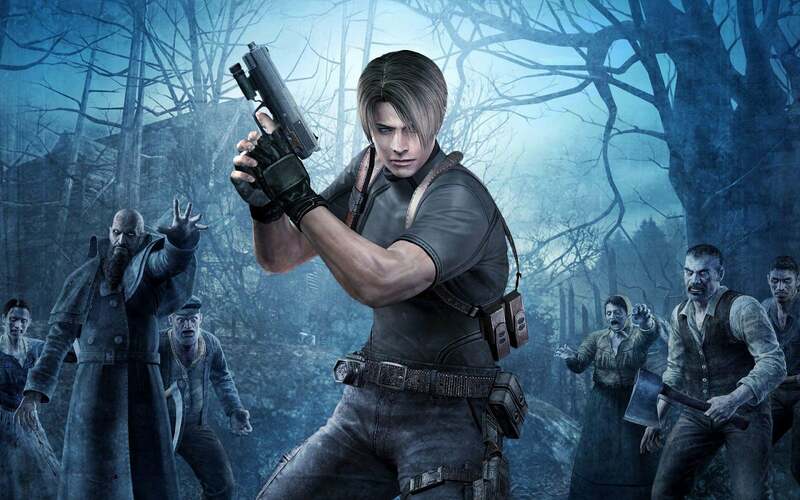 Resident Evil 3: Nemesis added more zombies than the first two games but Resident Evil 4 leveraged new technology to fill the screen with enemies. Dead Rising would try to push this to higher levels the year after RE4's release. But there is more to the experience here than lots of baddies; the key detail is that the enemies in RE4 are truly deadly and the encounters are built to burn slowly before exploding into broader and more complicated action. The opening village sequence alone shows a sense of pacing that was unparalleled at the time and possibly still unmatched to this day. This sense of pacing in the biggest thing that future titles would largely mismanage. Resident Evil 4 builds over time, eventually reaching absurd levels of camp and gore. Set pieces see variations and remixes. For instance, the pulse pounding village sequence is given a formal redux when the player later defends a lone cabin from waves of enemies alongside another ally. Set pieces grow in complexity at a rate generally commensurate with the player's acquisition of weapons. 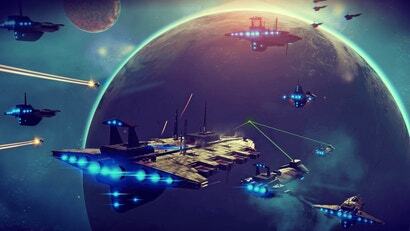 The game lets the player's arsenal and skill grow before elevating challenges to test their mastery. After playing just an hour of the remastered Resident Evil 4, I get the sense that the strong initial reaction to the title was not merely a product of the times but a direct result of a singularly well crafted game. With so much time passed, I thought things might have changed. They haven't. Resident Evil 4 is smart, scary, and remains a crucial part of gaming history. Dr. Salvador. Not the best physician, but you have to admire his persistence. It was a fantastic beginning, the way it mirrored the first game when you meet the initial enemy in the cabin. You expect a zombie but find a rambling villager instead. The escalation from there as you mentioned, so effective in putting your character in the moment. No time to question why it's happening, the enemy is intelligent and you need to make snap decisions and move. The tension was so damn real. Still my favourite Resident Evil. The others were great but RE4 was a revelation with the new control scheme. I think the Wii version is probably the easiest of the lot. Much easier to aim with a Wii-mote than it is with a control. I feel the same way about Killzone 3, using the move as a pointer and the control pad to move around was AWESOME. it felt so much more natural than just flicking the analogue sticks. I always think the RE games are better in theory than reality and RE4 is no different. They’re too “gamey” and full of ridiculous tropes and outdated gameplay that pull you out of the game world. Solve an obscure puzzle, do a poorly animated sideways knife slash to open a crate and find a glowing green plant, kill a zombie with your “tank controls”. Rinse and repeat. I also see nothing revolutionary at all in the way RE4 controls or presents itself, particularly the Gamecube version. It’s just normal RE from 1995 but with a fixed shoulder camera. Games like Metal Gear Solid, Splinter Cell, Operation Winback…. hell even Gears of War did FAR more for the action genre. It's so crazily replayable too, I don't think I've ever replayed another game as much as I did this. One thing that still gets me about this game...the President's daughter has been kidnapped, so they send one dude in after her? Seriously? ONE guy? The President, who was a massive fan of thrillers, appreciated the tension created from a lone field agent in a high stakes scenario. Given the opportunity to bring such an event to fruition, he signed the command, grabbed some popcorn, popped in the earpiece, and sat back for the best radio play he could ever experience. The other guys weren't bad enough dudes to save her. A masterpiece. Never get sick of replaying it.